Season pork with salt and ground pepper. Coat with potato starch. Heat 1 tbsp canola oil and sesame oil in a large wok or large skillet over med-hi heat till aromatic but not smoking. Brown pork in batches 2-3, ~2 minutes per side. Heroically resist the urge to crowd the wok and you will be rewarded with crispety pork instead of greyish steamed pork 😦 Add additional 1 tbsp canola oil as needed while browning. Remove from skillet and spread out on a cooling rack covered with paper towels to blot out excess oil. If you don’t have a cooling rack you can also use a paper towel covered plate in a warming drawer/warm oven to keep the pork from steaming/losing its crunch. 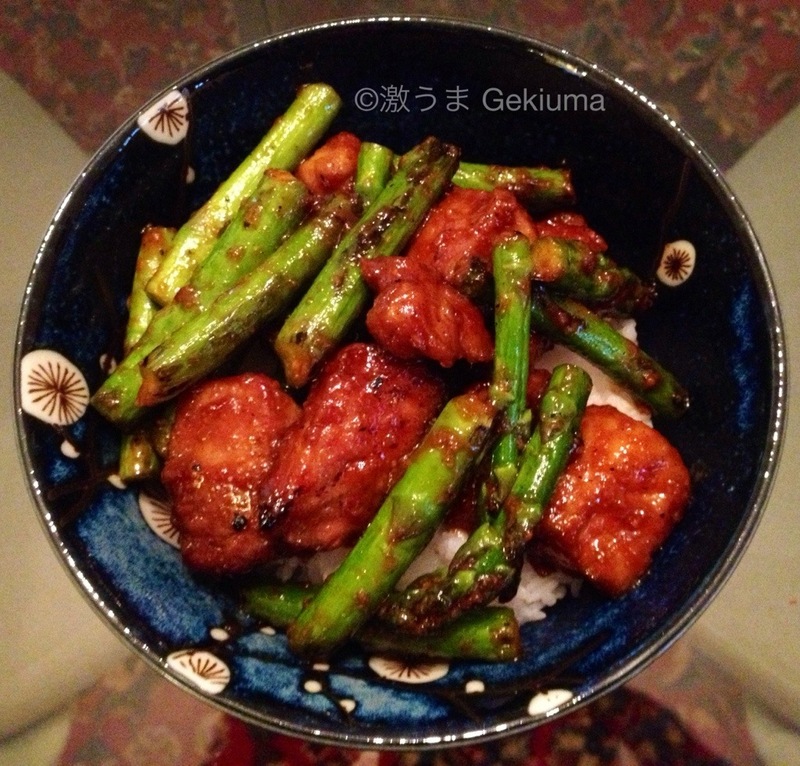 Stir-fry asparagus in the same wok till lightly browned and crisp tender ~5 minutes. Remove from wok and set aside. Sauté ginger and garlic till fragrant and golden ~1-2 minutes. 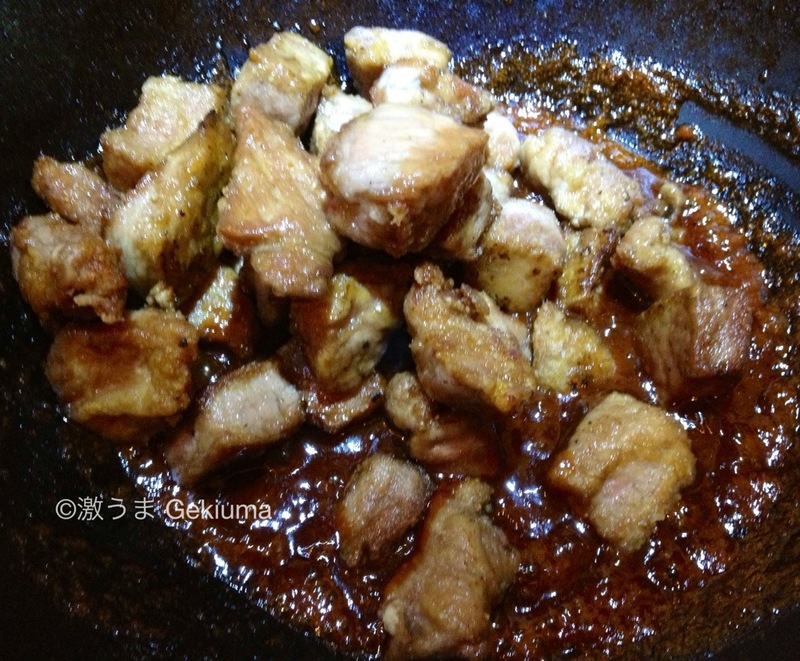 Stir in gochujang, soy sauce, mirin, honey, and rice wine vinegar then reduce till the sauce is reduced by half. While the burner is still on return pork and asparagus to wok and coat with sauce. Serve over steamed rice. 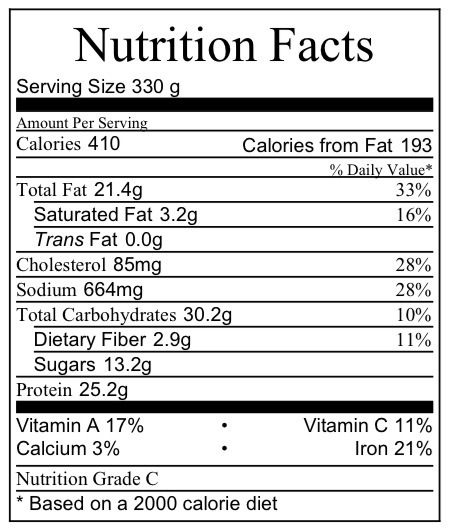 Makes 4 servings. If you need a food tester, count me in! I’m not so certain I’ll be making this dish, Cam. 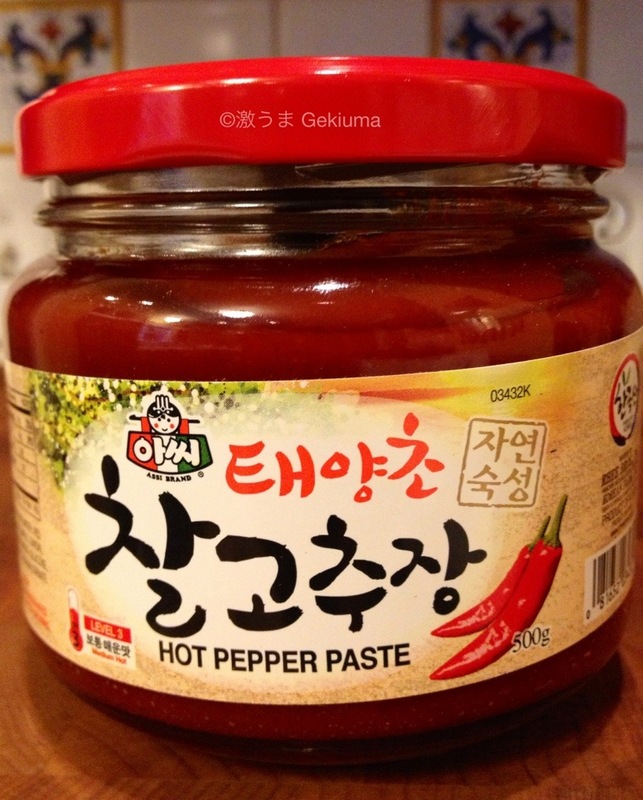 It may prove too spicy for me. I’ll have to see what supplies I can find at the market and let that decide whether I’ll make it. You’ve not led me wrong yet.